Mr. Askariyeh is a graduate research assistant in the Environment and Air Quality Division at Texas A&M Transportation Institute. He has held an assistantship since starting his Ph.D. program in civil engineering at Texas A&M University in 2014. His areas of interest are air pollutants emission and dispersion modeling for exposure and health impact assessment, and environmental data analysis. He has worked on a variety of studies to obtain a better understanding of environmental impacts of vehicular emission sources. During Mr. Askariyeh’s career, he has utilized what he has learned in different graduate level programs in environmental engineering, engineering management, applied statistics, geographic information systems, and computer programming. He has also taught courses such as “Computer Applications in Engineering” at Texas A&M University. Prior to continuing his research and higher education in the United States, Mr. Askariyeh worked as a research team member at Sharif Energy Research Institute and construction industry in his homeland, Iran. Raed Alotaibi is a doctoral candidate in epidemiology and environmental health at the Texas A&M School of Public Health. His primary research interest is in disease burden modeling for childhood asthma induced by traffic-related air pollution exposure. Raed has previously worked as a community medicine resident at the University of Imam Abdulrahman bin Faisal University. His academic background includes a medical degree from Imam Abdulrahman University, Saudi Arabia, and a masters of public health degree with a certificate in epidemiology for Public Health Professionals from Johns Hopkins Bloomberg School of Public Health. Dr. Birt is an associate research scientist Texas A&M Transportation Institute (TTI), in the Environment and Air Quality Division. His research interests include transportation modeling; information transfer and decision support; and systems modeling. He currently serves as manager of TTI’s Transportation Modeling program. Dr. Birt’s research focuses on transportation emissions, ecological and human (social) systems, risk assessment, and decision support. This research generally involves simulation, statistical and mathematical modeling, geographic information systems, and web based information technology. He is currently interested in the transfer of theory from ecology/sociology to transportation and engineering domains, and vice versa. Dr. Birt has worked on a variety of problems focused on the management of ecological systems and the interactions between transportation and the environment. Dr. Birt has published research on a diverse range of problems including: transportation emissions, decision support tools, the ecological and societal impact of irruptive forests pests, sustainability of rangelands, remote sensing, and pests in urban ecosystems. He has served as PI or CO-PI on problems involving transportation emissions, transportation resilience, wildlife-traffic interactions, computational fluid dynamics, transportation policy, and transportation planning. Before joining TTI in 2014, Dr. Birt was an associate research scientist at the Knowledge Engineering Laboratory, in the Department of Entomology at Texas A&M (eight years). He also worked for four years at Syngenta AG (UK) as an environmental risk assessor, developing custom models to demonstrate the environmental safety of pesticides to government regulators. He obtained his Ph.D. from Birmingham University (UK) and a B.Sc. degree in Zoology from Reading University (UK). Dr. Farzaneh is an associate research scientist at Texas A&M Transportation Institute (TTI), a part of The Texas A&M University System. As a researcher in the Air Quality Program, he serves as principal investigator and key researcher on a wide variety of technical and policy research projects. Dr. Farzaneh has worked on a wide variety of transportation air quality, traffic flow analysis, and transportation research projects during his eight years of experience. Dr. Farzaneh’s participation in research involves a variety of in-use emissions impact evaluations, transportation air quality policy analysis, biodiesel emissions, transportation sustainability, and air quality-related projects. Many projects have resulted in scientific journal papers and conference presentations. During his career, Dr. Farzaneh has conducted research projects concerning air quality, traffic flow analysis, and transportation modeling. His wide range of experience includes transportation air quality policy analysis; analysis of emissions reduction strategies; corridor level freight air quality analysis; development of emissions collection studies; emissions analysis; performance measurement; and transportation sustainability. Dr. Farzaneh has authored numerous journal papers and conference presentations on traffic flow modeling and transportation air quality topics. Prior to joining TTI, Dr. Farzaneh worked for several years as a senior research associate and a graduate research assistant at the Center for Sustainable Mobility at the Virginia Tech Transportation Institute (VTTI), where he was actively involved in research projects in the areas of traffic flow modeling, transportation safety and traffic operations for Virginia Department of Transportation and FHWA. Dr. Farzaneh has also several years of experience as a consultant in his home country of Iran, where he worked as a civil engineer. Andrew is a fourth-year Urban and Regional Planning student in the College of Architecture at Texas A&M University. He has been working as a research assistant with CARTEEH since May, 2018. His research interests involve urban and transportation planning, public health, and sustainable urban development. Dr. Rohit Jaikumar is a post-doctoral research associate at Texas A&M Transportation Institute. His responsibilities with the Air Quality Program (HAQ) have included working on multiple projects involving database development, GIS analysis, vehicular emissions analysis, and exposure assessment. Prior to joining TTI, he has a lot of experience in characterization of vehicular activity and emissions under real-world conditions as part of his Ph.D. at IIT Madras, Chennai, India. In addition, he was involved in a research study characterizing the emissions from municipal solid waste trucks using GIS at Nebraska Transportation Center, University of Nebraska-Lincoln. Mr. Johnson has worked on many different projects during his career at Texas A&M Transportation Institute (TTI). His responsibilities with the Air Quality Program (HAQ) have included work on multiple projects collecting and analyzing emissions data for various types of vehicles, both on and off-road studies. He has also been involved with the development of a sustainable performance measure calculator. Prior to joining the Air Quality Program, he was a researcher with the Transportation Operations group at TTI. In this position, he worked on projects dealing with traffic operations, traffic behavior studies, and other data collection projects. Dr. Natalie Johnson is an assistant professor at the Texas A&M School of Public Health. She received her Ph.D. in toxicology from Texas A&M University and completed her postdoctoral fellowship at the Johns Hopkins School of Public Health. She has extensive training in animal modeling and community interventions and has published multiple manuscripts related to the measurement of chemical-specific biomarkers of exposure. Dr. Johnson’s current research is focused on early life exposure to air pollution. Her work includes mechanistic work in experimental models and exposure assessment in vulnerable communities along the Texas-Mexico border and Eastern China. Dr. Haneen Khreis is a cross-disciplinary professional in the health impacts of transport planning and policy. She has training in transport planning and engineering, vehicle emissions monitoring and modeling, air quality monitoring and modeling, exposure assessment, systematic reviews and meta-analyses, health impact and burden of disease assessment, policy options generation, cross-disciplinary collaboration, curriculum development, and the science-policy link in transport and health. She also has experience and worked in the fields of epidemiology, childhood asthma, climate action and co-benefits and knowledge translation. Dr. Khreis completed her doctoral studies working between the Leeds Institute for Transport Studies (ITS) and the Leeds Institute of Cardiovascular and Metabolic Medicine (LICAMM), in close collaboration with the Centre for Research in Environmental Epidemiology (CREAL) at the Barcelona’s Institute for Global Health (ISGlobal). She has published extensively on the above topics, edited a book on “Integrating Human Health into Urban and Transport Planning” and is now editing one on “Traffic-Related Air Pollution, Human Exposures and Health” and co-editing another on “Transport and Health.” Dr. Khreis is currently an assistant research scientist at the Texas A&M Transportation Institute (TTI) and the Center for Advancing Research in Transportation Emissions, Energy, and Health (CARTEEH) and remains an associated researcher at the Barcelona’s Institute for Global Health – Campus MAR (ISGlobal). At CARTEEH, she leads the development of a cross-disciplinary curriculum on Transportation Emissions, Air Pollution, Exposures, and Health and leads a European and a USA-wide disease assessment on traffic-related air pollution and childhood asthma. A complete list of Dr. Khreis’ published articles can be found online. Dr. Ramani has played a major role in several of Texas A&M Transportation Institute’s (TTI) air quality and sustainability-related studies over the last 10 years. Her work includes projects related to sustainable transportation, transportation air quality, emissions modeling, in-use emissions testing, performance measurement and decision-making, and health and transportation. She has an undergraduate degree in civil engineering from Anna University, India. She also holds an M.S. in civil engineering and a Ph.D. in urban and regional sciences, both from Texas A&M University, and is a licensed professional engineer in Texas. 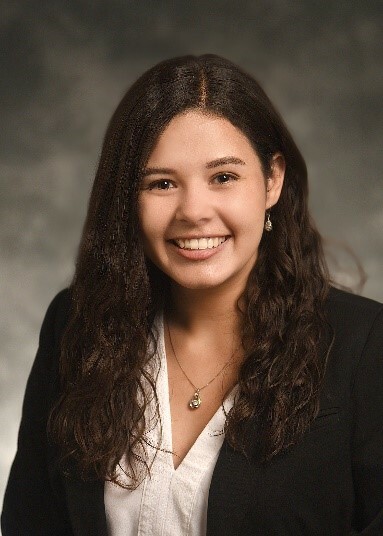 Kristen Sanchez is a research assistant at Texas A&M Transportation Institute (TTI) under the Center for Advancing Research in Transportation Emissions, Energy, and Health (CARTEEH). She received her Bachelor of Science degree in Public Health from Texas A&M University. Her current projects include developing the CARTEEH Literature Library, dispersing relevant news articles, and conducting a systematic review of urban-level policies’ effectiveness in reducing traffic emissions, air pollution, and human exposures. Her work has a strong focus on the full-chain, linking traffic emissions to their ultimate health impacts. Dr. Dan Seedah is an assistant research specialist at the Texas A&M Transportation Institute (TTI), a member of the Texas A&M University System. Dan brings over 7 years of computer programming, data analytics, commodity flow modeling, freight mobility studies, freight economics studies, transportation planning, and project management skills gained through leadership and active involvement in over 20 projects for state and federal transportation agencies in the United States. Prior to joining TTI, Dr. Seedah served as the vice president of engineering at Transmetric America Inc. where he led the development of GEOCOUNTS and the GEOCOUNTS File Format for traffic monitoring. 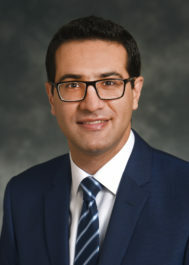 Prior to joining Transmetric, Dr. Seedah worked as a research associate at the Center for Transportation Research at The University of Texas at Austin. He completed his master of science and doctorate degrees in engineering at the same university. He is a member of the Freight Transportation Data Committee (ABJ-90) and the Statewide Transportation Data and Information Systems Committee (ABJ-20) at TRB. As part of NCFRP Report 35, he designed an ontology to address the semantic heterogeneity issues inherent in freight data sources and is currently assisting with the development of CARTEEH’s Transportation, Emissions and Health Data Hub. A summary of Dr. Seedah’s previous work experience and publications can be found online. Dr. Ipek Nese Sener is an associate research scientist in Texas A&M Transportation Institute ‘s(TTI) Travel Forecasting Program of Planning Division, with a main research focus on advancing the state of the art and state of the practice in the area of travel demand modeling and activity-travel behavior analysis. She has extensive expertise in transportation-based health research, promoting sustainable and equitable environments, and studying the health outcomes of transportation systems, the built and travel environment, and individuals’ activity-travel behavior. She is also particularly interested in alternative and emerging modes of transportation and exploring the effect of information and communication tools on travel behavior and demand, and how to better integrate technology-enabled mobility options. Dr. Sener has more than 80 publications, has presented papers at national and international conferences, and occasionally appears as a guest lecturer in university engineering and planning departments. She is an active member of the Transportation Research Board’s committees, including “Travel Behavior and Values” and “Effects of Information and Communication Technologies on Travel Choices.” She is also in the leadership team of the “Transportation and Health” Subcommittee, and serves as the paper review coordinator and research coordinator of the committee. In 2014, she was selected as the recipient of the Researcher of the Year Award at TTI. Soheil Sohrabi is a Ph.D. student in Zachery Department of Civil Engineering at Texas A&M University. His research area is transportation data analytics and modeling. He holds a master’s degree in transportation engineering from Amirkabir University of Technology (Tehran Polytechnic). Prior to starting his Ph.D., he has been involved in many transportation projects while working for transportation consulting firms for more than 5 years. Soheil Sohrabi is currently a graduate research assistant at the Texas A&M Transportation Institute (TTI) and the Center for Advancing Research in Transportation Emissions, Energy, and Health (CARTEEH). At CARTEEH, he is working on assessing the impact of the transportation systems on public health by quantifying the burden of disease from transportation related exposures. Inyang Uwak is a doctoral candidate in epidemiology and environmental health at Texas A&M School of Public Health. Her academic background includes a medical degree from the University of Calabar, Nigeria, a master of public health degree and certificate in environmental and occupational health both from Johns Hopkins University Bloomberg School of Public Health. Inyang worked previously as a primary care physician and practice manager in Nigeria. She has also served as a research assistant with Harris County Public Health and Environmental Services (HCPHES) and was involved in conducting health impact assessments. Her research interest is in the health effects of environmental exposures specifically ambient air pollution exposure and its impact on human health. Dr. Vallamsundar is an assistant research scientist in the Air Quality Program at Texas A&M Transportation Institute (TTI). She has been conducting research in areas of transportation and air quality modeling, integrated modeling frameworks for urban air quality and population exposure, and policy analysis over the last 9 years. At TTI, she has been the key researcher on several studies, including the project-level PM hot-spot modeling in Illinois and Texas, characterizing population exposure to traffic related air pollution, and investigating the near-road air quality data and their implications for project-level air quality analyses. She has published a number of journal papers and conference presentations. She holds a Ph.D. in civil and environmental engineering from University of Illinois, Chicago and M.A.Sc in civil engineering from University of Waterloo, Canada. Dr. Zietsman is an agency assistant director, strategic advisor and center director at the Texas A&M Transportation Institute (TTI). Since joining TTI in spring 1998, he has been principal investigator of numerous research projects covering the areas of air quality, sustainable transportation, performance measurement and transportation planning. He is also a member of the graduate faculty of Texas A&M University. In addition to his research experience, he has 3 years of highway construction experience and 7 years of metropolitan transportation planning experience. Dr. Zietsman has written numerous technical papers and reports and is a frequent speaker at national and international conferences and meetings. He is also an active member of the Transportation Research Board where he chairs the Transportation and Sustainability Committee and serves as member of the Performance Measurement and Air Quality Committees.